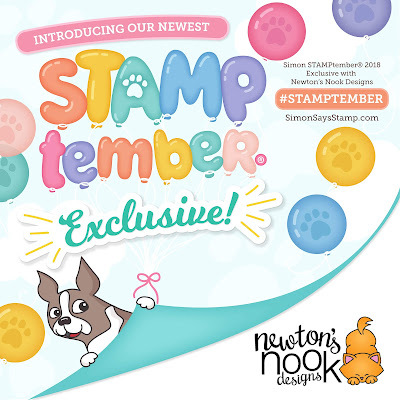 Today we are featured on the Simon Says Stamp site with an EXCLUSIVE stamp set that we designed for the 2018 STAMPtember celebration! How cool is that? 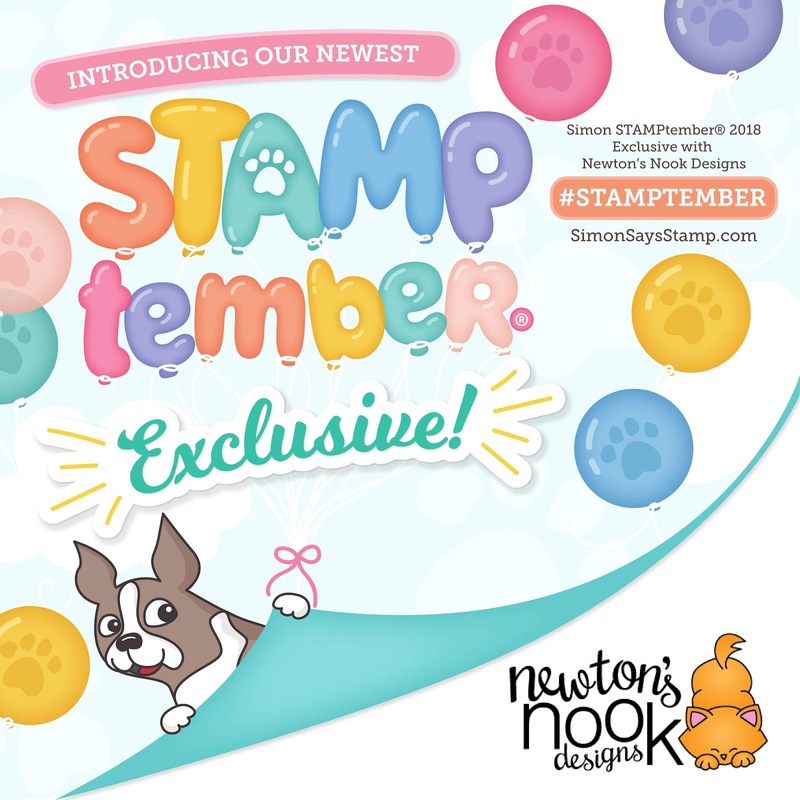 I know many of you LOVE shopping over at Simon Says Stamp so make sure you head over there today and check out our exclusive Hello Beautiful Stamp Set and coordinating die set. 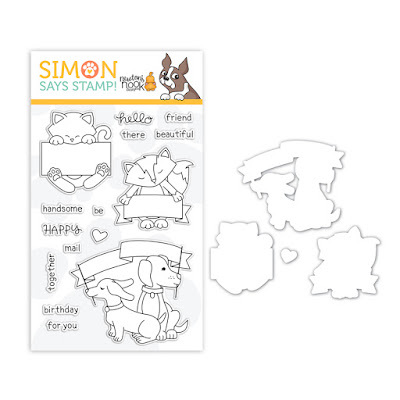 These items are only available through Simon Says Stamp while supplies last! 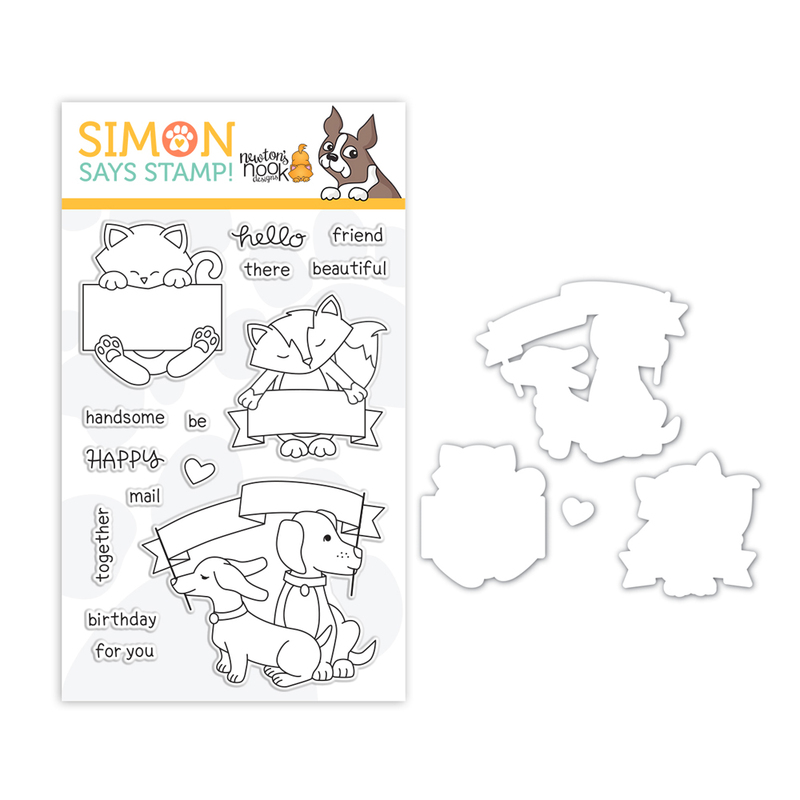 This stamp set is called Hello Beautiful and you can find it and the coordinating die ONLY at Simon Says Stamp! And, of course, I had to play with the set to show you what you can create with it! 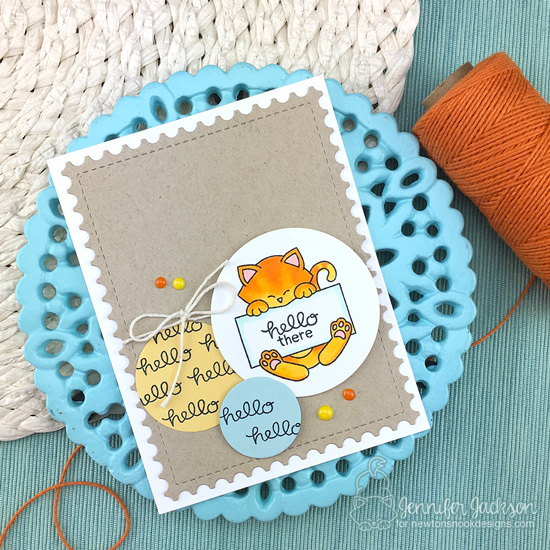 For my first card I created this fun little hello card with the kitty holding the sign from this set. I colored the kitty with copic markers and added the "hello" and "there" to his sign. Then I cut him out with a circle die and added two more circles in blue and yellow, stamping the "hello" on those as well to make a fun pattern! For the card background I cut out a piece of kraft cardstock to create a postage edged panel using our Framework Die Set, I assembled all the pieces, adding in some twine and a few nuvo drops for a pop of color. Then I created a second card using the cute puppies holding a banner. I stamped them onto a stitched rectangle panel of watercolor paper that I cut out using our Frames & Flags Die Set. I added the "happy" on one side and "together" on the other. I colored them using Zig clean color brush markers. 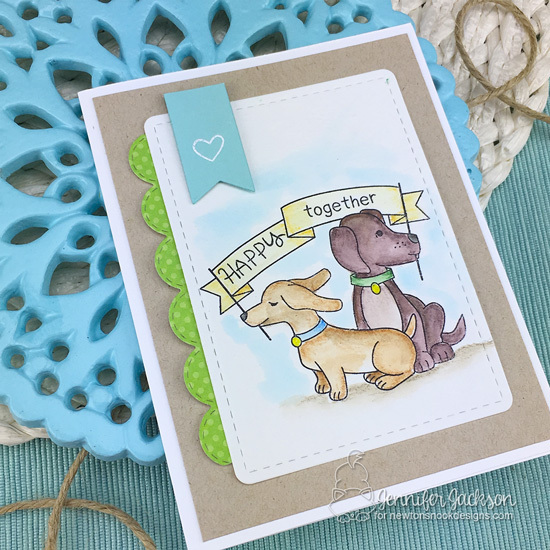 I added this panel to a kraft background and also added a bit of scalloped green paper up the side using our Sky Borders Die Set. I thought it needed a little more interest so I cut out a banner using our Frames & Flags Die Set and embossed a little white heart on it. I hope you liked my projects today and using this new exclusive set. I simply love this adorable set! And your cards are both super cute! I especially love the way you watercolored those cute pups! Such a beautiful set Jen! oh that stamp set is so cute!